Runcorn man who was selling counterfeit football clothing from his holiday home has been ordered to wear a tag for the next four months. The Hall was empty when the fire took place. Credit: Cheshire Fire Service. 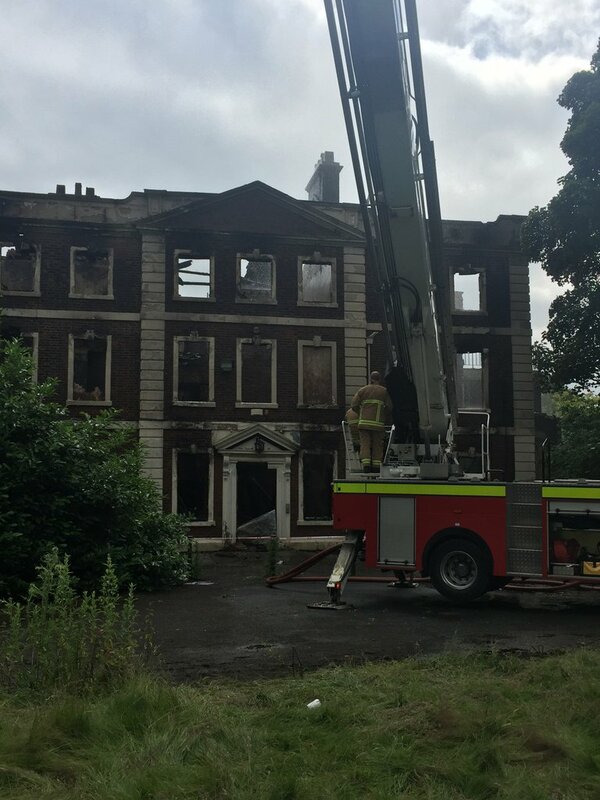 An investigation is underway after a huge fire at an empty stately home in Cheshire. Firefighters were called to Daresbury Hall, on Daresbury Lane, Runcorn, on Saturday afternoon. When they arrived crews found that a blaze had taken hold of the large empty building. A total of eight fire engines were called to the scene to help tackle the fire. Firefighting operations stopped at just after 10pm last night with two fire engines remaining on the scene overnight, damping down, checking for hot spots and making sure there was no re-ignition. "It is not yet known how the blaze started but an investigation has been launched. "If you have any information that you think may be helpful please call Cheshire Police on 101 and tell them what you know." RSPCA is appealing for people to come forward after a man was seen attacking a dog in Runcorn yesterday. The M56 has now fully reopened after a gas tanker burst into flames shutting the motorway for several hours. No one was hurt in the blast but it led to traffic queues and delays with many being told to avoid the area. Cheshire Police tweeted it was now fully operational again but traffic was initially slow moving. The eastbound section of the M56 in Cheshire has reopened after a tanker fire closed the motorway in both directions. The westbound section remains closed. The tanker fire on the M56 at Helsby is now under control and although the motorway is still closed near the incident traffic is beginning to flow again via diversions. Cheshire Constabulary and Cheshire Fire and Rescue are warning it will take some time to deal with the backlog of vehicles in the area. Drivers should still expect delays. The central reservation is being removed from the M56 to get motorists off the motorway, police say. UPDATE: #M56 btwn Jct 12-15 still closed. Work being done to remove central reservation to get motorists off the motorway. Flames can be seen engulfing the wheels and underneath a propane tanker in a blaze on the hard shoulder of the M56 motorway in fire that has brought traffic in the area to a standstill.